Lunar New Year is arrived. In Vietnamese culture, the people always makes many kinds of jams for their families. These jams are not only delicious, but also really good for health. 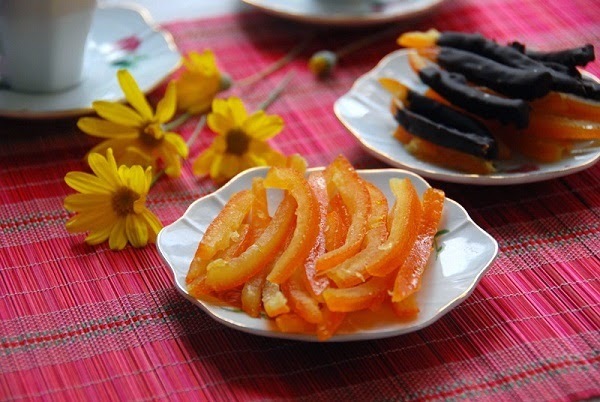 One of them is Orange Fruit Skin Jam (Mứt Vỏ Cam), which comes from many stunning Vietnamese Food Recipes. When you have a cough, it can heal for you. It is really interesting, right? So, are you ready to make more colors for your Tet holiday through makine one of amazing Vietnamese Food Recipes with us? Do not miss a chance to show how much you love all members in family by making this dessert. When you are ready, please follow our instructions below and let us start cooking now. Step 1: Peel off the cover of orange fruits. Cut off the white part. 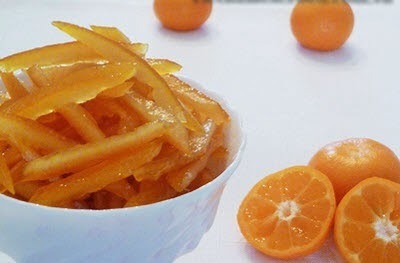 Only use the orange part for making one of amazing Vietnamese Food Recipes. Then, slice into long pieces. Soak them into boiled water in 10 minutes. Continue to repeat this process again once more time. Step 2: After soak in the second time, wash immediately in cold water and soak in cold water 12 hours. 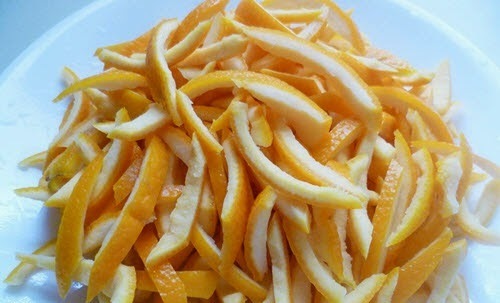 With this step, it can help to reduce the bitter from skin of orange fruit. 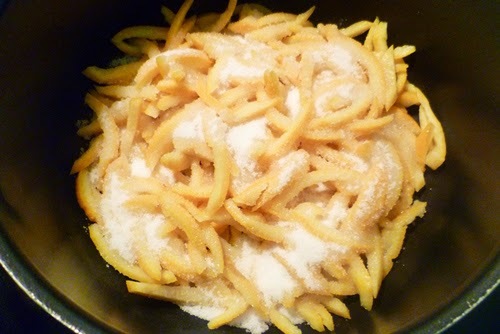 Step 3: Wait to dry and next, add sugar and mix well. Bring to cook with small heat in 10 minutes and turn off the heat. Cover the pot in 8 – 10 hours to all sugar can absorb into skin of orange fruit. Step 4: After that, cook continue with small heat as well. Add more water + oragne juice into pot. Sometime use chopsticks to stir well. 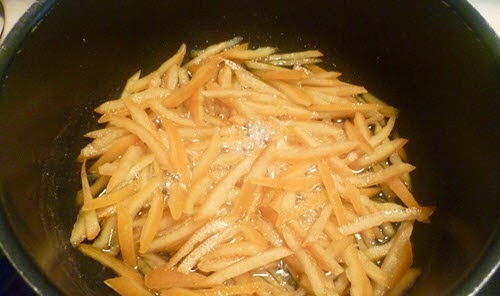 Cook until all sugar water absorb into skin of oragne fruit. Turn off the heat. Finally, your dessert is ready bring to serve. Wait to get cold, store into jar and use day by day. When visitors visit your hours, bring them to serve to the best way to show how respect you do with them. Hope you love this dessert and do not miss our next Vietnamese Food Recipes tomorrow to cook more stunning dishes for your Tet holiday. Good Luck for your Cooking and Happy Lunar New Year.